Happy Thursday, everyone! I hope that you have had a great morning so far! Josh & I spent the day together yesterday, then went to church last night. Our close friends who have just recently gotten engaged have both sets of their parents in town right now, so we went over to their apartment to hang out with everyone and have some yummy pizza! It was a great day! Instructions: Make card from black cardstock. Cut texted paper slightly smaller and adhere to the front. Cut a strip of damask paper, and layer to the left side. Distress ink the edges of a tag, and adhere to the middle. Distress ink a doily and layer on top of the tag. Diecut the typewriter and paper, then distress ink the paper cut. Stamp the image & sentiment to each piece, then adhere them together. 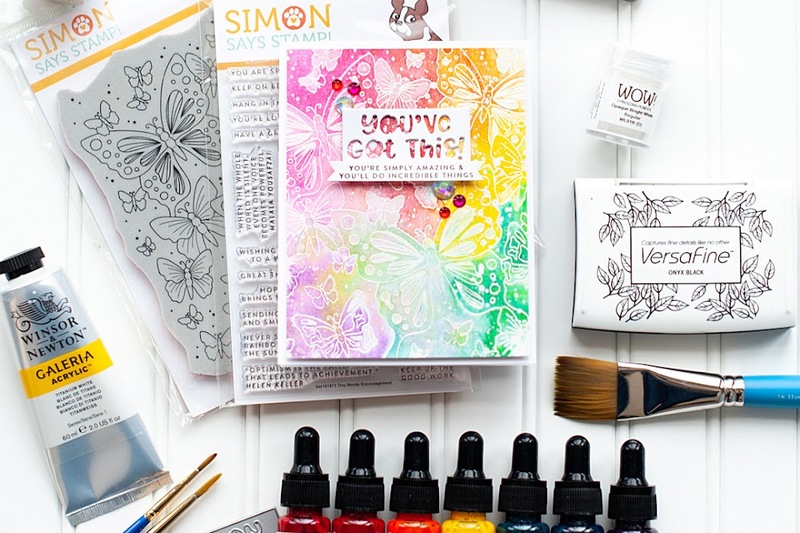 Layer the stamped image to the top of the doily. Tie a bow from brown ribbon, and a double bow from twine. Layer the two bows together, then thread a button around the middle using twine. adhere the bow to the right corner of the typewriter. Add three pearls to the lower left corner of the typewriter to finish. Sounds like you did have a great day! 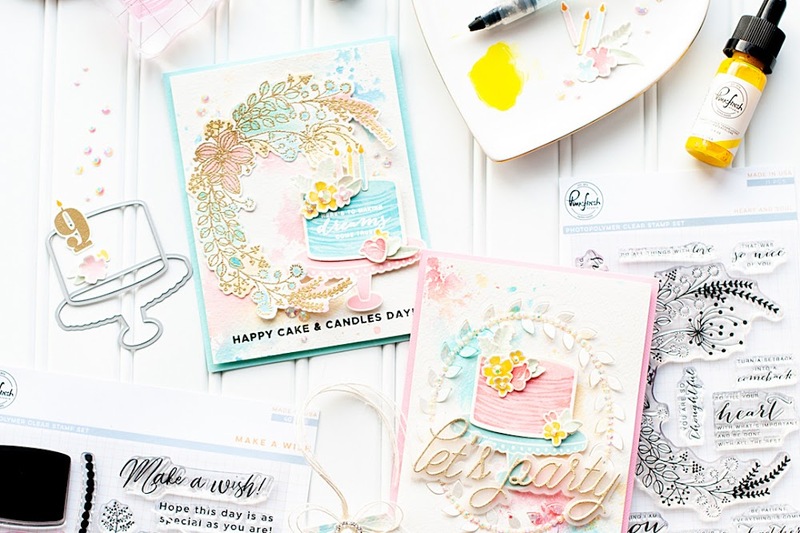 I NEED that stamp set from My Favorite Things! I always love that typewriter but how cute is that sentiment. Wow, this is gorgeous. Beautiful colors and love all the layering. Thank you for joining our challenge at Inky Impressions. Beautiful! Love the double bow and all the layers! This is beautiful! 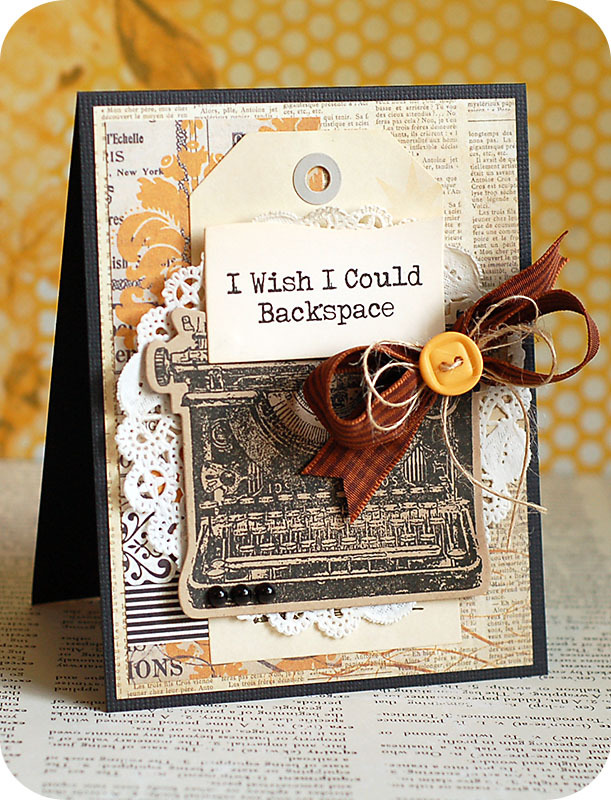 Love the vintage design, your colors, and the image and sentiment combo. Thanks for joining the ODBD Shining the Light challenge this week. Another wonderful visual feast for the eyes! 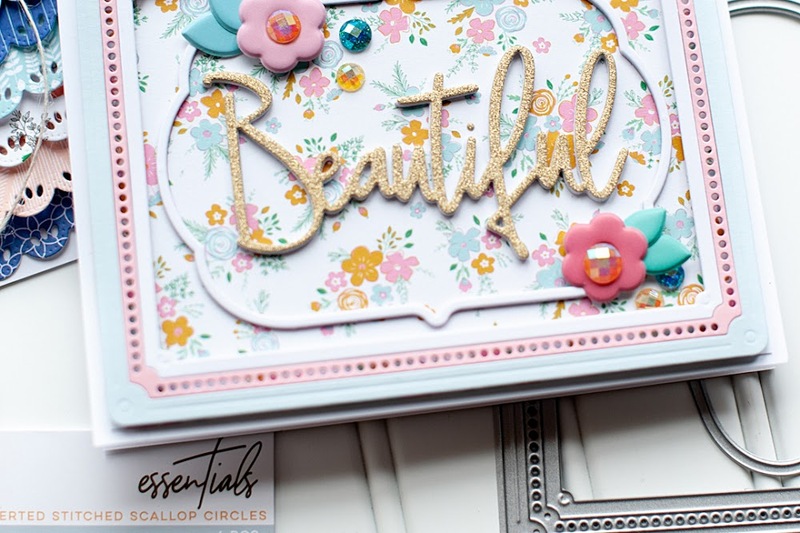 Saw your beauties in the latest Cards mag! Way to go! Great job and wonderful card!! Thanks for joining us at Creative Belli!! This card is fantastic, how often have I wished I hadn't said something or inadvertently stuck my foot in my mouth? This would be perfect! I have to check out this stamp set. Love all of your cards !! Great work !